Singapore, August 7, 2018 – Travelers no longer have to ditch their exercise routines and healthy lifestyles with Oceania Cruises’ unrivalled array of complimentary wellbeing options. Oceania Cruises exclusive wellness shore excursion series, expansive vegan menus as well as fitness and treatment offerings at the Canyon Ranch Spa, allows guests a blissful, fully-integrated wellness retreat at sea. 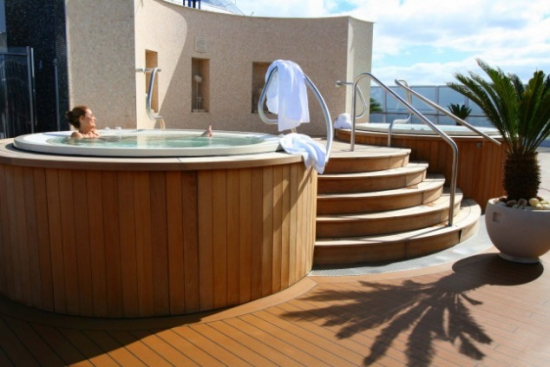 Featuring the famed Canyon Ranch Spa at sea and Canyon Ranch Spa Cuisine, Oceania Cruises, the world’s leading culinary and destination-focused cruise line, continues to pioneer health, fitness and wellness while at sea. While Canyon Ranch’s signature experience is a relaxing massage, the revitalizing treatments extend well beyond those offered in a traditional spa. Oceania Cruises is also pairing select Canyon Ranch Spa treatments with an exclusive shore excursion series, Wellness Tours Inspired by Canyon Ranch. With carefully crafted shore excursions, guests can experience the very best of each destination while on an enriching wellness tour. The Pope's Thermal Baths | Civitavecchia, Italy - Guests can enjoy an afternoon of heavenly relaxation and restorative benefits at the Viterbo Terme dei Papi, or the Thermal Baths of the Popes, in this famed papal city. Originating in Etruscan times, the exclusive baths boast a thousand-year-old therapeutic tradition advocated by the presence of renowned kings, popes and artists throughout history. Travel to Rome on the 12-Day Dazzling Europe Voyage from US$3,229 per guest. Vinyasa Yoga at Monte Carlo Bay | Monte Carlo, Monaco - Perched on a beautiful peninsula overlooking the azure waters of Mediterranean Sea, the Monte-Carlo Bay Hotel & Resort offers paradise views as guests enjoy a private vinyasa yoga class, a dynamic style of yoga recognized for a host of mind-body benefits. Travel to Monaco on the 14-Day Mediterranean Symphony Voyage from US$2,909 per guest. The Greek Gods of Wellness | Corfu, Greece - Ambelonas, an artisanal organic goods company and one of Greece's most stunning wine estates is the ideal backdrop for uncovering compelling insight on emotional, spiritual, intellectual and physical wellness during a stroll around the lush vineyard and herb plantation. The experience is crowned with a tranquil meditation and yoga session followed by a wholesome plant-based lunch. Travel to Corfu on the 10-Day Greek Isles Explorer Voyage from US$3,349 per guest. On Oceania Cruises, the finest cuisine at sea now includes an expansive array of plant-based options. These dishes are in addition to the line's already comprehensive selection of vegetarian, gluten-free, and kosher meals. The Raw Juice and Smoothie Bar serves raw, cold-pressed juices and vegan smoothies all morning long from 7:00am – 11:00am and choices include Acai Berry bowl, Chia Cashew Yogurt Bowl, Tropical Green Smoothie and Rise & Shine Juice among many others. 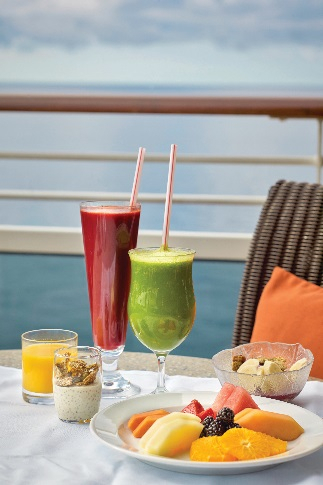 The bars are currently available onboard Marina and Riviera while the vegan menus are available fleet wide on the brand’s six ships – Regatta, Insignia, Nautica, Marina, Riviera, and Sirena. The vegan menus are featured in the Grand Dining Room at breakfast, lunch, and dinner, including a total of more than 250 dishes including appetizers, soups, salads, entrees, and desserts. Featuring a fleet of intimately luxurious ships, Oceania Cruises offers an unrivaled vacation renowned for the finest cuisine at sea. With their multitude of unique wellness experiences, they also help guests reinvigorate their body, mind and spirit while travelling. To book an award-winning cruise with Oceania Cruises, call +852 2165 6000 for HK (English, Cantonese and Mandarin assistance), or 800 616 7096 for SG contact your preferred travel professional or visit https://www.oceaniacruises.com/.